Ms. Sanderson is a graduate of Texas Woman’s University, Denton, TX and began her career in the S&L industry. She then worked for the Resolution Trust Corporation managing and liquidating bank assets. Her next opportunity introduced her to the field of community development – where she developed a niche in Low Income Housing Tax Credit and Tax-exempt Bond lending, leading to production of affordable multi-family housing. 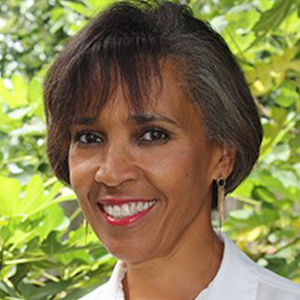 Ms. Sanderson then served as Executive Director of Houston LISC, providing operating support, mezzanine financing and technical assistance to Houston community development nonprofits which created thousands of affordable housing units and critical economic development projects in low income neighborhoods. In 2009 Ms. Sanderson began her consulting business Sanderson Solutions, providing community development support to nonprofits and banks. She was then recruited to bring her expertise to the banking crisis – contracting to the FDIC to assist in the resolution of failed community banks. As the financial crisis waned, Ms. Sanderson found an opportunity to assist First Community Bank (FCB) with its CRA goals. In 2013 she agreed to join the bank as an employee, heading up their statewide CRA program. When FCB became Pioneer Bank she also became the Fair Lending Officer. Ms. Sanderson has served on the boards of the Rotary Club of Houston, HGAC Workforce Solutions, Houston Hope, Covenant Community Capital, The Credit Coalition, Texas Interfaith Housing and Portfolio Resident Services. ©2018 Hidden Star Resources. All rights reserved.